There were 673 press releases posted in the last 24 hours and 154,027 in the last 365 days. 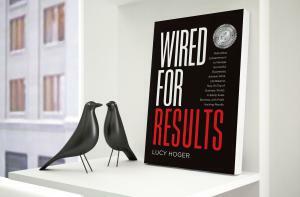 LucyHoger.com releases newest book Wired for Results, by author and CEO, Lucy Hoger which became an Amazon International #1 bestseller in under 24 hours. HOUSTON, TEXAS, UNITED STATES, November 29, 2016 /EINPresswire.com/ -- LucyHoger.com latest book Wired for Results: Motivating Entrepreneurs to Manage Successful Businesses, Achieve Work Life Balance, Stay On Top of Business Trends To Easily Scale Business, with Profit Hacking Results by entrepreneur, speaker, CEO, and Board of Director, International Best Selling Author, and Founder of Visionocity Magazine, Lucy Hoger has written this new book for business owneres looking for an entrepreneurial edge to achieve work life balance tips and stay on top of business trends that will readily and easily scale business growth and inspire the businessperson on ways to motivate employees. 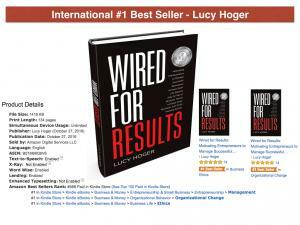 Lucy Hoger’s newest #1 International Amazon bestselling book, Wired for Results, has proven to be a hit. Ranking in the USA Amazon store for several consecutive days, the book also hit bestseller status in Australia, Germany, Canada and United Kingdom. Within the pages of Wired for Results, entrepreneur’s will have access to a special formula, a practical step-by-step model, to help grow organizations into a multi-million-dollar corporation while sustaining a work life balanced lifestyle. Wired for Results starts off with a powerful foreword written by Keith J. Cunningham and can be found on Amazon having received multiple 5 star reviews from readers. 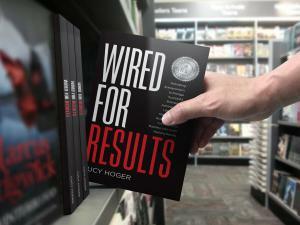 Wired for Results provides a proven method to go from struggling business owner to successful CEO. People will discover what large conglomerates have paid millions to learn. Wired for Results assembles a powerful framework that interweaves the most effective components of smart business into a solid plan. From the beginning, it takes the reader through every stage of expansion and change that is needed and lays out a practical path to success. Using a unique business model developed by top corporate consultant and CEO, Lucy Hoger, ideas are developed, grow and prosper. Her mantra is: success is predictable. Achieving long-term success requires crucial knowledge in every aspect of building and growing your business: marketing and sales, financing, research and development, customer service and much more. It's important to understand business trends, profit hacking approaches, and have an awareness of how to scale a business to be positioned and ready for the next level of success. Often it’s overwhelming. Wired for Results is a step-by-step guide to make business tasks less daunting. Inside Wired for Results you'll find downloadable resources to aid in the process of growing a business. Lucy Hoger is a successful Board Member, CEO and Senior Executive with a track record for propelling organizations and companies to the next level of profitable achievement within their highly competitive markets. She has proven herself repeatedly as a leader for spearheading the turnaround of potential business failures into business successes. She possess an exceptional ability to develop and retain leadership teams selected from of the "best of the best" talent that creates results-driven technology and business innovation. She publishes an internationally ranked digital magazine, Visionocity, this is focused on providing practical advice from contributing business owners who are succeeding in today’s challenging environment. She is also a source of motivation and inspiration for over one hundred thousand followers worldwide through her Instagram account. She’s gained insights into strategic trends that position her clients for exponential business advancement. Lucy Hoger provides strategic positioning for businesses who wish to create and promote new products and services, and conducts leadership workshops for individuals to expand their careers and businesses.